Apparently, Spirit Tracks news doesn’t take a day off these days as IGN released their multiplayer impressions today. Generally, it brings little to no new information, but there were a few tidbits that snuck out. First, Eiji Aonuma had that nice little statement in the title. Second, the bombs were officially confirmed to be the last missing item from the inventory. 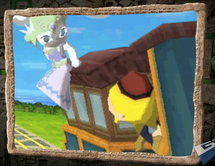 IGN would not say they agree that Spirit Tracks is indeed the most enjoyable Zelda ever, but they did end it by noting that everything they have touched, both in multiplayer and through the Snow Temple, is well polished and a lot of fun. Check out their full preview here.